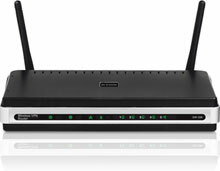 D-Link answers the need for a Wireless G VPN Router with the DIR-330. The DIR-330 features an intuitive user interface that can be easily configured and monitored via the D-Link Web-based management utility. These configuration options can be managed through Administrator rights. The DIR-330 can be connected to a cable or DSL modem to share high-speed Internet access. It also provides a 4-port full-duplex 10/100 switch to connect up to four Ethernet-enabled devices. The DIR-330 is an easy-to-deploy wireless VPN router solution designed specifically for the Small Office/Home Office (SOHO) market that demands superior performance and security. The D-Link DIR-330 is also known as DIR-330	or DIR330	.